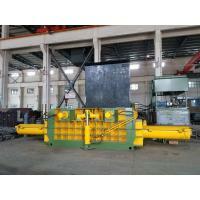 Y81 series hydraulic metal balers press the leftover of many kinds of metal material (steel shavings ,scrap steel, scrap aluminum ,scrap copper ,scrap stainless steel ) to be qualified furnace in the shape of cuboid ,octagon ,cylinder and so on ,which not only decreases the freight and smelting costs ,but also increase the speed of casting . 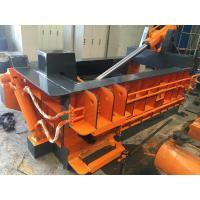 This machine is mainly applicable to steel mills ,recycling industries and ferrous metallurgical works .It is applied to steel-making plant, recycling and processing industry and ferrous metal smelting industry. 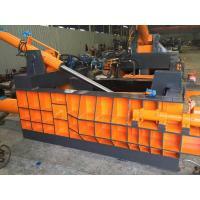 It can extrude various kinds of metal scrap, steel shavings, scrap steel, scrap aluminum and scarp copper into furnace burden with the shape of rectangular, cylindrical and octagonal shape so as to reduce the cost of transportation and smelting equipment. 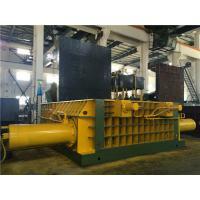 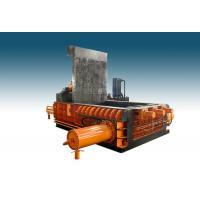 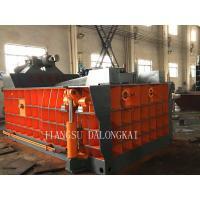 It is the only manufacturer to manufacture large scrap steel processing equipment in China. 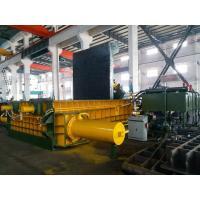 Both the technology and performance of the products are in the leading position in the same industry and has won the recognition and favor from customers. 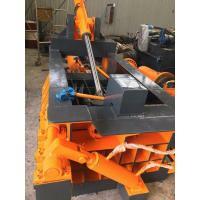 All machine modes adopt hydraulic driving. 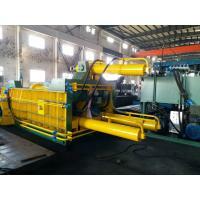 It can be operated with manual operation and PLC automatic control. 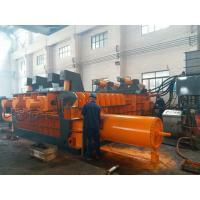 The foot screw is not needed for the installation, and the diesel engine can be equipped as power in the place with no power. 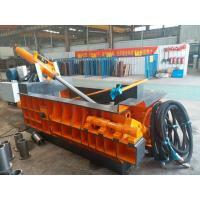 The bale discharging is composed of types such as tilting and bale pushing. 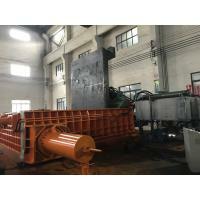 There are 8 grades for extrusion force from 63 tons to 400 tons, and the production efficiency ranges from 0.5 ton/hour to 20 ton/hour. 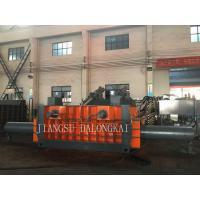 The feed box size and bale shape and size can be customized and designed according to the raw material specification of customers.